Get free advice and estimates from roofers in your city. The roof is the single most important part of a home’s exterior. It is what protects your home and belongings from the elements, while at the same time adding to its appearance and curb appeal. A well-maintained roof says a lot about a home and helps prevent many issues, such as water damage, mold, and mildew indoors. Two of the most frequently used materials for roofs are tiles and shingles 1. Both provide an attractive, durable roof that will cover and protect your home. But they look and are made in very different ways. We outline the differences between the two below so that you can make a more informed decision about which one will be right for your home. Most people are familiar with the asphalt 2 shingle 1 roof. 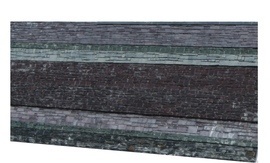 It is made of flexible shingles 1 that are installed overlapping one another. Thicker shingles have been developed that add more dimension and structure to the roof and more closely mimic the effects of materials like slate 3. They come in a range of colors, and they may have some variation or texture or appear more flat depending on the exact brand and style you choose. Tiles have much more versatility in design. Classic clay tiles are most commonly installed in the S shape, where the tiles curve in an S pattern and overlap one another for a repeated, rounded pattern. But clay, concrete, and metal tiles actually come in a very wide range of shapes, patterns, and colors. It is possible to find roofing tiles that have the classic S pattern as well as half-round tiles, tiles that mimic the look of slate 3 shingles, ridged tiles, and a wide range of others. With a tile roof, it is possible to create a more unique or personalized look for the property rather than simply choosing a different color or slightly thicker shingle. Installation varies between the shingle and tile roofs as well as the type of tile you choose. Asphalt shingles are fairly straightforward to install. Most have tabs that overlap one another and are nailed down and sealed. A felt underlayment 4 is all that is necessary beneath them as long as the roof deck itself is in good condition. Tiles, however, require some degree of roof reinforcement first. This is because of the increased weight involved. They also need an underlayment 4, but the process of installation is much slower and more involved. Some patterns and tiles are much faster, such as interlocking tiles that neatly snap into place, while traditional S, scallop, and ridge patterns must be cemented into place one at a time, which can take several days to complete depending on the size of the roof. Shingles are much less expensive than tile both to purchase and install. All roofing is sold and installed by the square, which is 100 square feet. The average cost of a square of asphalt shingles is between $65 and $80. Installing the material costs around $50 a square. Additional costs include $1,000 for tearing off the old roof and $400 for felt and supplies. This makes the cost of a 1,500 square foot roof $3,125 to $3,350 on average. The cost of a tile roof is significantly higher with the material costing between $120 and $250 a square. Tearing off the old roofing is the same at $1,000 while reinforcing the roof to hold the weight will cost between $1,000 and $10,000, and labor is between $465 and $665 a square. Additional materials run between $500 and $600. This makes the cost of a 1,500 square foot tile roof between $11,300 and $25,325. Asphalt shingles are fairly lightweight and can be installed on nearly any type of roof. Tile, however, can be very heavy, depending on the material. Composite tiles are the lightest while metal and clay tiles weigh more. 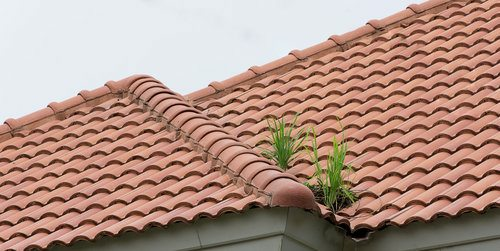 All tile roofs are heavier than a shingle roof, however, and require at least some degree of roof reinforcement, leading to some of the high costs involved. If your home is unable to support a heavy roof or you are unable to reinforce it, then a shingle roof is the better choice. Asphalt roofs are common throughout the U.S. and have been proven to handle all types of climates. Tile roofs are most commonly installed in the southern parts of the country because traditional clay tiles may not be able to handle the freeze/thaw conditions. However, newer composite and metal tile roofs can be installed anywhere. If you live in an area with freeze/thaw cycles and want to invest in a tile roof, ask for a material that can handle the climate. On the other hand, tile in very dry, hot climates may have a shortened lifespan due to the heat. Heat can also shorten the longevity of asphalt tiles, which is why it is always best to inquire as to which roofing material is best-suited to your climate. In terms of durability, a well-maintained tile roof will outlast a shingle roof by decades. Depending on the material the tile is made of, it can last from 25 to 100 years if taken care of properly. Metal and composites tend to last the longest, but there are clay tile roofs that are over 100 years old as well. Asphalt shingles last between 15 and 30 years, depending on the thickness, type, and style. Thicker, architectural shingles last longer than standard three-tab ones. Maintenance of both roof types is fairly similar. Each should be inspected yearly for broken, cracked, or missing shingles or tiles. If moss is growing on the roof, it should be gently cleaned away. Never use a pressure washer on either type of roof. 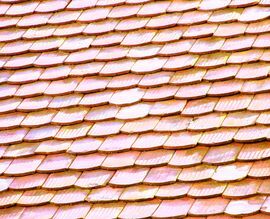 If your roof is made of clay tiles, avoid walking on it as this could cause the tiles to break. 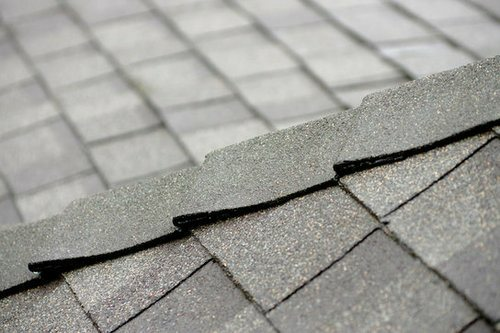 If a broken tile or shingle is found, replace it as soon as possible to avoid more widespread damage to the roof. Shingles are made from many materials but primarily have a base of asphalt, which is what makes them water-resistant. 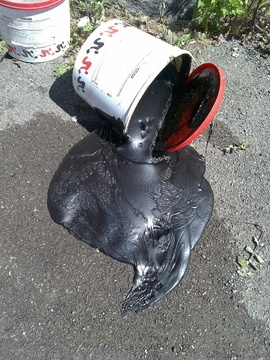 Asphalt is derived from petroleum, so these shingles cannot be considered sustainable. However, some asphalt shingles have environmental benefits. These include white, heat-reflecting shingles that help keep the temperature of a home lower, thereby reducing energy costs. Tiles may be made from a wider variety of materials, including natural clay. They also last longer and are therefore less likely to end up in a landfill. Many materials that go into tiles can also be recycled, which makes them a slightly more eco-friendly choice. Any new roof adds value to your home. Because of the longevity of a tile roof, it may have more appeal to a new owner, but in general, any new roof is considered a good investment in a home. 1 Shingles: A smooth, uniform, flat piece of construction material, available in a wide variety of materials and laid in a series of overlapping rows, used to cover the outside of roofs or walls to protect against weather damage and leaks. How much does it cost to install a tile or a shingle roof. in my city? Cost to install a tile or a shingle roof. varies greatly by region (and even by zip code). To get free estimates from local contractors, please indicate yours.